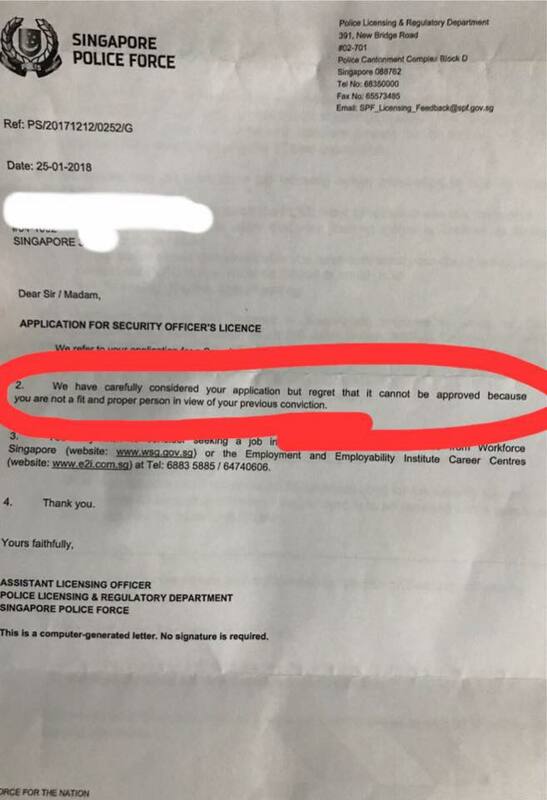 The Land Transport Authority (LTA) has rejected an ex-offender’s job application due to his “previous adverse record.” The government body’s call comes after the Singapore Police Force rejected another ex-offender’s application for a security officer’s license, because he is “not a fit and proper person” given his previous conviction. In that case, it was reported that the ex-offender was a former infantry regular in his 30s who served six months in prison for allegedly assaulting a construction worker who accosted his wife – an attack that caused the worker to suffer from a fractured nose and jaw. 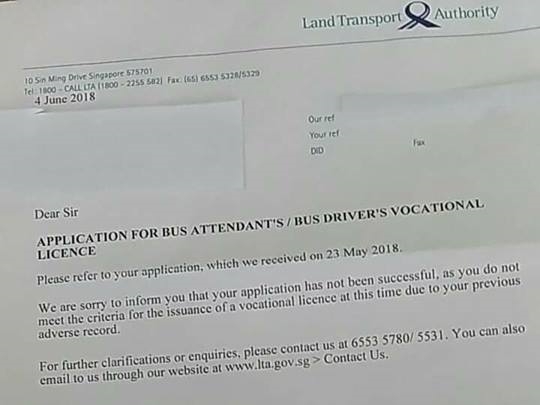 In this latest case, the ex-offender had applied to the LTA for a bus attendant’s/bus driver’s vocational license only to have his application rejected due to his prior record. “At first SPF now LTA also do not want singaporean earn decent living Appy for vocational get rejected becauze of record. 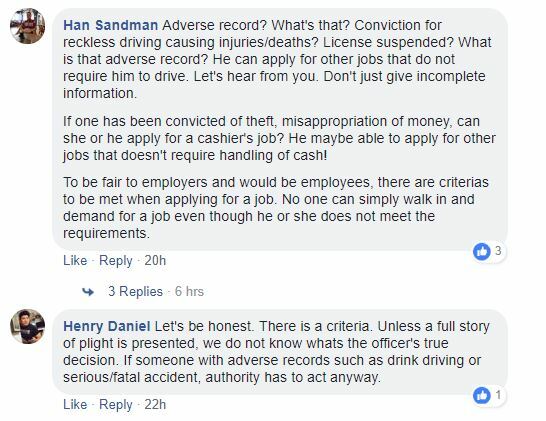 How many foreigners driving grab and sbs bus have you check whether they have clean record or not.